The novel opens with a quote from Oscar Wilde: "A dreamer is one who can only find his way by moonlight, and his punishment is that he sees the dawn before the rest of the world." How is this sentiment explored in The Night Circus? Who in the novel is a dreamer? And what is their punishment for being so? The narrative also follows a non-linear sequence - shifting at times from present to past. How effective was this method in regards to revealing conflict in the novel? The prose is beautiful but not too simplistic, the fantasy images are easily understood and vivid - almost real. The descriptive narrative is so clear and concise that your mind slips easily into the circus at night - and with such intensity it's startling (Louise J). I find myself staring into space remembering parts of this wonderful book and not wanting to come back (Arleen L). Thank you to Ms. Morgenstern for reminding me why I am a reader (Debbie V)! (Reviewed by BookBrowse First Impression Reviewers). Reading a novel like this is like being asked to come out and play - exhilarating! [The Night Circus] is smart, inventive, creative, thoughtful, wise, pleasurable, and imaginative beyond measure. This is a fantastic story. Starred Review. Self-assured, entertaining debut that blends genres and crosses continents in quest of magic… Generous in its vision and fun to read. Likely to be a big book - and, soon, a big movie, with all the franchise trimmings. Starred Review. This big and... compelling first novel ushers in a menacing tone with its first sentence. With appeal for readers not particularly geared to fantasy but who plainly enjoy an unusual and well-drawn story, this one will make a good crossover suggestion. Starred Review. 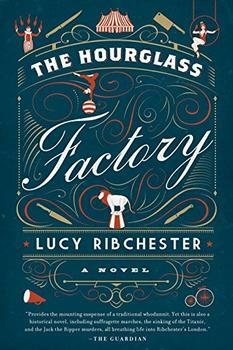 Debut author Morgenstern doesn't miss a beat in this smashing tale of greed, fate, and love set in a turn of the 20th-century circus. Supporting characters... are perfectly realized and live easily in a giant, magical story destined for bestsellerdom. This is an electric debut on par with Special Topics in Calamity Physics. Starred Review. Debut novelist Morgenstern has written a 19th-century flight of fancy that is, nevertheless, completely believable. The smells, textures, sounds, and sights are almost palpable. A riveting debut. The Night Circus pulls you into a world as dark as it is dazzling, fully-realized but still something out of a dream. You will not want to leave it. Pure pleasure... Erin Morgenstern is a gifted, classic storyteller, a tale-teller, a spinner of the charmed and mesmerizing - I had many other things I was supposed to be doing, but the book kept drawing me back in and I tore through it. You can be certain this riveting debut will create a group of rêveurs all its own. It's imaginative beyond belief. I haven't read a book in years that is this imaginative and completely plausible. The Night Circus made me happy. Playful and intensely imaginative, Erin Morgenstern has created the circus I have always longed for and she has populated it with dueling love-struck magicians, precocious kittens, hyper-elegant displays of beauty and complicated clocks. This is a marvelous book. Reading this book made my heart flutter. It feels like the first time you see the night sky completely void of light pollution. Reading it is like being surrounded by lightning bugs. I felt like a child seeing an amusement park for the first time. I adore this book. A reader's trifecta! I don't know what to love the most; the captivating story, the richly detailed lives and trappings of the players, or the thoughts I'm left with now that the reading is done. I'm so impressed with Erin Morgenstern's powers of imagination and her storytelling. What a treat! The use of magical motifs in Erin Morgenstern's debut novel, The Night Circus, helps make it a unique and fascinating read. But the literary device is by no means new. 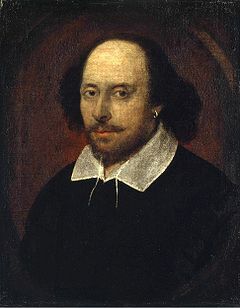 Magic can be found in some of the oldest, most revered pieces of literature throughout history, as in William Shakespeare's The Tempest. In fact, his play served as an inspiration for Morgenstern's novel. In The Night Circus, Prospero the Enchanter maintains a magical persona and attempts to control his daughter's life, much like his namesake in The Tempest, who has the ability to call on spirits and charm his daughter Miranda to sleep.